With the frenzy for eating all things fresh, green, and local, it’s hard to remember that only a few years ago, researchers had located way too many urban food deserts here in the U.S. as well as Canada, the U.K., Australia and New Zealand. Coined in the mid-2000s, “food desert” is a concentrated area short on access to fresh meat and produce, long on convenience stores and quick-serve chains. Metro-dwellers in those areas don’t eat well, get sick often, and are at higher risks for life-shortening diseases. The solutions? Safe places to shop, for one. The rest follow logically: Educating populations about good nutrition, ensuring these communities have the financial wherewithal to buy healthy food (usually higher in price than the fast-food outlets), and training residents on adopting such alternatives as victory gardens and urban agriculture. The good news? With community activism, widespread awareness, and retailer cooperation, food deserts are shrinking, bit by bit by bit. 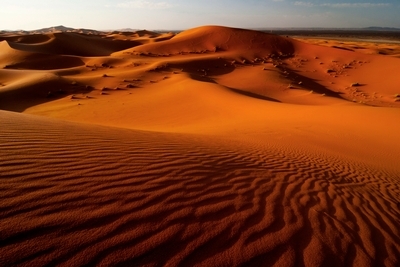 · Is business writing clear, concise, sparkling … or dry as our proverbial Sahara? · Are there functions and divisions within the company that, quite simply, don’t communicate well or often enough? · How parched are your stakeholders – inside and out – for real information and intelligence? · Do constituents need to travel far to get to that communications oasis? Or is it as close as their laptop or Internet connection? Analogy’s over, with one last question: How long will it take us to build safe places to communicate, and to congregate in communities of genuine conversation?